Indonesia is into its silver-haired years and celebrated its sixty-eighth Independence Day last August 17. The last few Independence Day celebrations have fallen during the fasting month of Ramadan and have thus been somewhat muted affairs as a consequence. Hari Merdeka (Freedom Day) emerges out the other side of the religious tunnel in all of its glory this year however and promises to be the riot of colour, noise, fun and games that Indonesians know and enjoy so much. Indonesian independence was officially proclaimed at 10am on Friday, August 17, 1945. 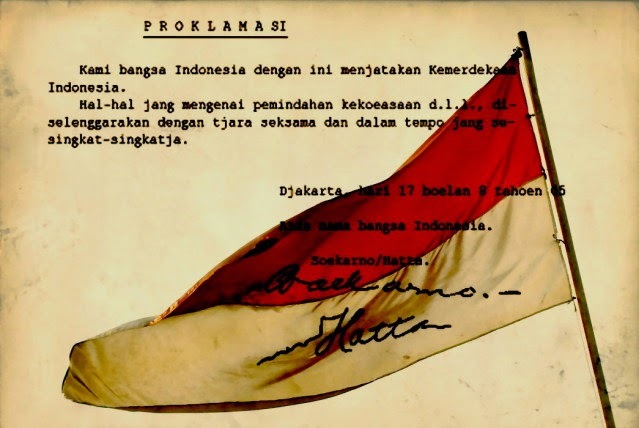 The 1945 Proclamation of Independence (Proklamasi Kemerdekaan) was signed by Sukarno and Mohammad Hatta, who were appointed President and Vice-president the following day. This declaration was only the start though, the beginning of a long campaign of diplomacy and armed resistance that finally culminated in the country's colonial masters, the Dutch, officially acknowledging Indonesia's independence in 1949. The Proclamation of Independence had been carefully prepared and planned a few months earlier, however the whole thing was hastily brought forward to August 17 as a consequence of Japan's unconditional surrender to the Allies following the nuclear attack on Nagasaki. If you're interested in this history, then head down to the Museum of the Declaration of Independence, which you will find on Jl. Imam Bonjol 1 in Jakarta, housed in the very building in which the declaration was actually signed. 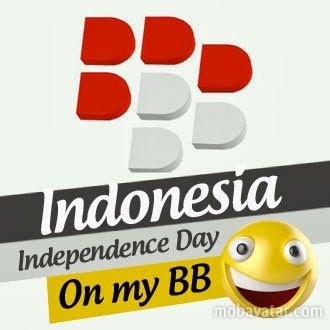 These days, the country's Independence Day is still celebrated with great enthusiasm all across the Archipelago. Red and white flags are sold weeks in advance, decorations are put up at private offices and government buildings, political journalists churn out op-eds about the country's progress over the decades and the challenges that lie ahead in the future, neighbourhood associations and organisations plan special events and parties, TV shows get all historical and school kids have a general whale of a time. Games are enjoyed at street parties across the country too and include krupuk (cracker) eating contests, three-legged races, tasty snacks, decorated floats and plenty of general tomfoolery. The best-known Independence Day game though is called panjat pinang and involves competitors attempting to scale slippery, specially greased poles and palm trees in order to reach prizes which hang suspended from their tops. Meanwhile, up at the Presidential Palace, the big man himself delivers a State of the Nation address and is present at a solemn flag-raising ceremony attended by the military, all of whom have polished their shoes and buttons to an extra dazzling patriotic shine for the occasion. If you are really looking to experience Independence Day in full swing, then head up to the National Monument (Monas) and the adjacent palace and witness August 17 in its full pomp and circumstance. 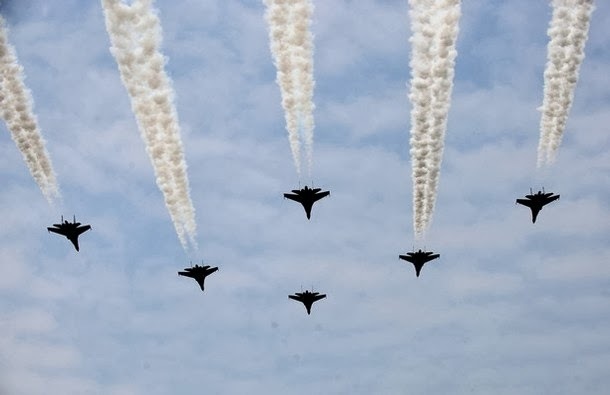 If you're not too keen on dragging yourself all the way up there, then just take a stroll around your local neighbourhood and soak in the fun sights, sounds and indeed tastes of Freedom Day. One important piece of advice though, don't leave it too late. One of the things perhaps most worthy of admiration about this country is the ability of its citizens to get up at the crack of dawn or even earlier and the August 17 fun tends to be over by lunchtime. So, tempting as it may be to enjoy a lie in on this national holiday (especially this year, as Independence Day falls on a Saturday morning after a potentially heavy Friday night), we would encourage you to set your alarms and join in the fun. You won't regret it. Just what does August 17 mean to Indonesians these days though? Well, I thought that it would prove instructive to head out onto the streets with my trusty dictaphone and ask a few people for their views. Starting at the higher end of the social spectrum, one young professional told me, "I'm not sure if Independence Day has the same significance that it once did for people. I think that Indonesians are more uncertain about the country now and about the different forces that are competing as we head into the future. Also, people have a greater access to information now in this digital age and this also is eroding people's perhaps rather one-dimensional, simplistic sense of nationalism." Highfalutin stuff for sure. Another of my interlocutors, a Miss Weni, told me that, "Of course Independence Day is important but in 68 years, Indonesia has not really been able to develop itself to the level that it could reach as a nation, largely due to misuses of power I believe." Later that day, my motorcycle taxi driver told me that, "The kids still love the games and it's good fun to have a national day but I think that people are more suspicious of their government these days." And the ambivalence continued as I headed into my local minimart for some liquid refreshment, where a customer that I quizzed about Indonesian independence informed me that, "We should remember our struggles for freedom, as there are those in the country today who are sowing the seeds of conflict, division and religious intolerance." So there we have it. A small cross-section admittedly but clearly feelings of nationalism seem somewhat tinged by nervousness and uncertainty here in 2013, 68 years into the great Republic of Indonesia project. This is probably a reflection of an economic boom that is still masks weak and corrupt political institutions, underdeveloped human resources and infrastructure, persistent poverty and a poor education system. Whether the country will improve after next year's presidential election will depend on who is elected. Fingers crossed for 2014 folks.